Electric Lady is a small, appointment-only tattoo studio located opposite Reading College. 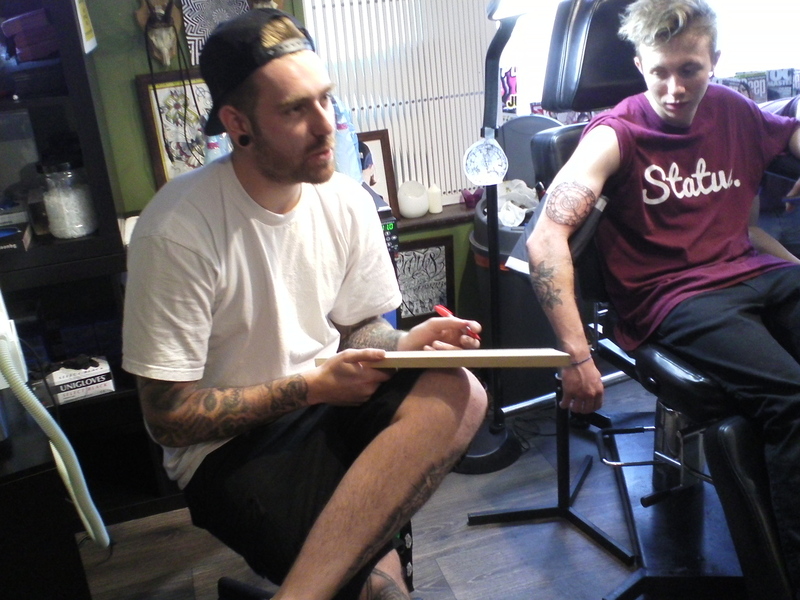 There are two tattoo artists called Adam working at The Electric Lady. The Adam who participated (Adam W) is the same Adam who had tattooed Aaron’s leg. 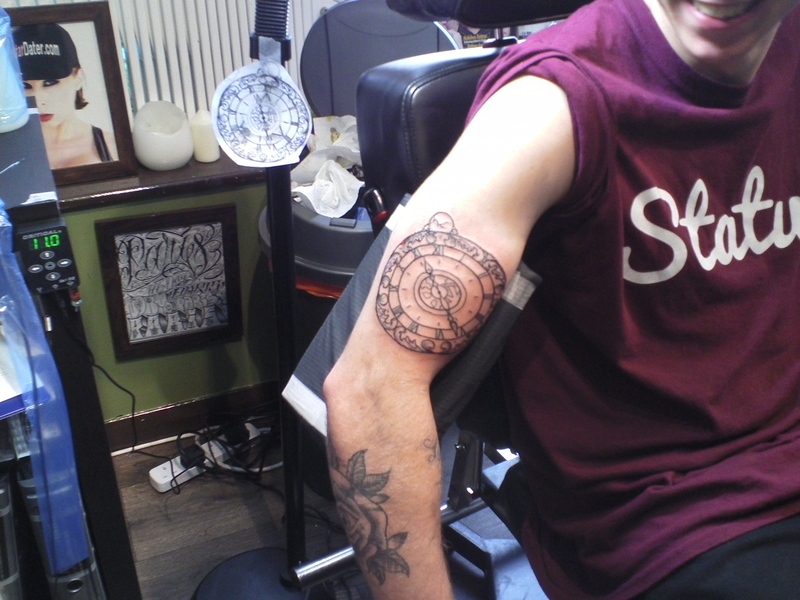 After Adam finished tattooing the outline of a clock on a client’s arm he gave me a moment’s time to explain about what I was doing. He then provided the assemblage with a sterile, disposable tube and sent me to visit his missus: Sarah, at the Beauty Boutique in Caversham.